As the question of volunteer funding remains under the microscope, collaborative and groundbreaking research is underway to assess the impact of a community volunteer home visiting service which supports families of young children, as Jayne Meyer Tucker explains. There is much to celebrate following the news last week that the volunteering sector has retained its designated federal funding for Volunteering Support Services. Volunteering Australia CEO Adrienne Picone reinforced how important it was that the $19.95 million funding was reinstated with thanks to the Tower of Strength campaign. “It is very encouraging that through the combined advocacy efforts of the volunteering sector, members of Parliament, and broader society, that Minister Porter, and the Department of Social Services, has recognised the incredible value that Volunteering Support Services play in the Australian community,” she said. As partners of the campaign and with a lead role on volunteering impacts regarding children and families to Volunteering Australia, the joint alliance of Volunteer Family Connect (VFC) collectively celebrates this news. VFC mobilises trained community volunteers to support families of young children who are vulnerable because they are either socially isolated and/or feeling overwhelmed by their parenting role. Currently in Australia there is no dedicated government funding and no proven programs to meet the needs of these families. Any future government or non-government funding must be innovative and evidence based and it is this evidence that VFC is creating. Along with being evidence based there is also much talk about finding innovative ways to working particularly in this post-industrial revolution and fast-paced knowledge era. I refer to this as the enabling paradigm or purpose economy and have spent the past five years exploring this deeply through my PhD research. Demonstrations as to how to find sectors without borders that embrace competitor collaboration are integral for sustainable long-term change in the enabling paradigm. VFC is a great example of competitors embracing collaboration and I am most fortunate to represent all in the role of Volunteer Family Connect Champion. The Volunteer Family Connect Alliance was formed in 2012 to research, develop and evaluate a best practice volunteer home visiting service. The alliance consists of three service delivery not-for-profit organisations (The Benevolent Society, Save the Children Australia and Karitane) and three universities (Macquarie University, Western Sydney University and University of London Birkbeck) with support from EY (Ernst and Young). A private philanthropist provides the majority of the funding for the research, service and evaluation. The alliance has utilised available evidence and practice wisdom to develop a VFC program. The VFC program is currently being implemented in seven sites across four states (NSW, Queensland, Victoria and Tasmania). All seven sites are engaged in a randomised controlled trial (RCT). A total of 306 families are participants in this trial (153 intervention, 153 control), which examines the effectiveness of the program in supporting positive child and family outcomes. understanding the benefits of volunteering. A gold-standard program of research has been developed to assess the effectiveness of VFC. While the VFC approach is consistent with the government call for relationships-based, community-driven strategies to support vulnerable families, there is a need for rigorous research to examine program effectiveness, for whom the program is most effective, and under what circumstances. Les Hems – director of economics, regulation and policy, Ernst & Young. SOCIAL RETURN ON INVESTMENT ANALYSIS (SROI) • The social and economic return gained by investment in volunteer home visiting. This research is ground-breaking as it is the first RCT of volunteer home visiting to be conducted in Australia and the largest trial to be conducted worldwide. In fact VFC is the only trial in the world to focus on outcomes for both families and the volunteers who support them. It is also the first time any study has conducted an analysis of the social return on investment for a volunteer home visiting program. It is through a Social Return on Investment Analysis (SROI) that the value of VFC to families, volunteers, service providers, and government will be measured. The VFC research gives focus to those who volunteer in the home visiting program to support vulnerable families across the three service providers (The Benevolent Society, Save The Children Australia, Karitane). Early findings suggest that, whilst there is a range of people who volunteer in this way, volunteer home visitors are typically people who bring extensive personal and /or professional experience in working with children and families (eg retired nurses or teachers). VFC volunteers are required to complete a minimum of 30 hours of VFC training, and receive ongoing support and supervision from a paid VFC program coordinator. Programs like VFC rely heavily on the work of paid staff, such as program coordinators. Better understanding of how paid staff leverage the value of volunteering is important, and may contribute to the discussion around any organisational drivers for the recently reported decreasing number of volunteers in Australia. The VFC Alliance would particularly like to contribute to the discussion that has been initiated on the economic impact of volunteering and giving. To date the argument is that such a discussion includes both social and the economic impacts, and that the economic value not only covers volunteers as labour inputs, but also how volunteers contribute to achieving social and economic outcomes. In the purpose economy and outcomes-based funding and accountability approach, it is essential that there is data on the value of volunteer enabled outcomes and the extent to which volunteers generate value for money for government, including cost savings, cost avoidance, increased productivity and filling service gaps. What are the VFC findings to date? Pilot study findings in advance of the RCT indicated positive outcomes for VFC families when compared to a community comparison group, including: improved parent confidence and coping; less social isolation; improved parenting skills; and improved parent emotional health. In qualitative interviews, parents and volunteers also spoke about new learning and play opportunities as the result of participation in VFC, as well as improved child safety, school readiness and social competency. It should also be noted that VFC appears to reduce the risk of child hospitalisation, which provides another cost benefit for government. VFC reduces the risk that families will need to utilise or engage in a prolonged way with intensive and costly professional services, which generates better outcomes for families and cost savings for government. The intentions of VFC post 2020 will be that its findings will provide the evidence and innovation to build on the Volunteer Support Services as promoted by Volunteering Australia. In revisiting the celebration of the reinstated government funding for support for Volunteering Support Services this is a great first step in recognising volunteering as being integral to society. It is the first step in the right direction. In my role as VFC Champion I am most proud to be tasked with sharing the VFC learnings as widely as possible. More broadly VFC is an exemplar of the competitor collaboration required to support the investments as shown by government. It is on such foundations that can embrace uncertainty that the values of civil society will benefit the next paradigm and generations to come. About the author: Jayne Meyer Tucker is the Volunteer Family Connect Champion and Founder of JMTinc, a cause related business that adds value to partnerships between purpose and prosperity. 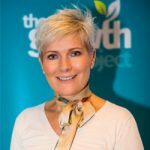 She is a non-executive board member of The Growth Project and her former Australian executive roles include deputy chairperson Community Council of Australia and CEO of Good Beginnings Australia.